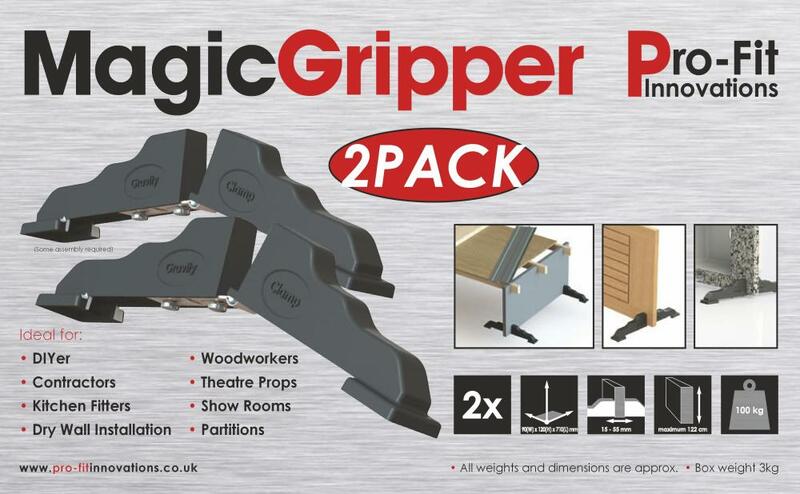 Magic Gripper Door Clamp® ™ This patented but simple effective british invention is very simple to set up and uses the weight of the product to clamp securely. WEBSITE EXCLUSIVE ONLY. 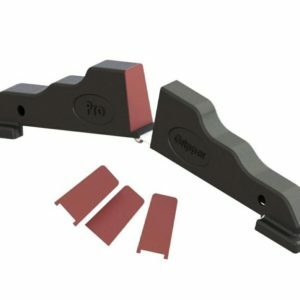 Free Anti Slip Pads With Selected Magic Gripper Door Clamp Orders. 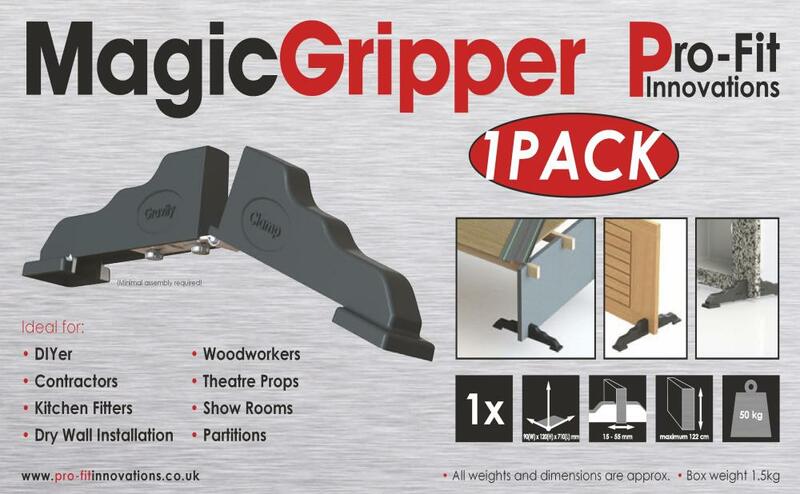 Brand new Magic Gripper Adjustable Door Clamp. From £23.99 Includes Free UK Mainland Standard Delivery. 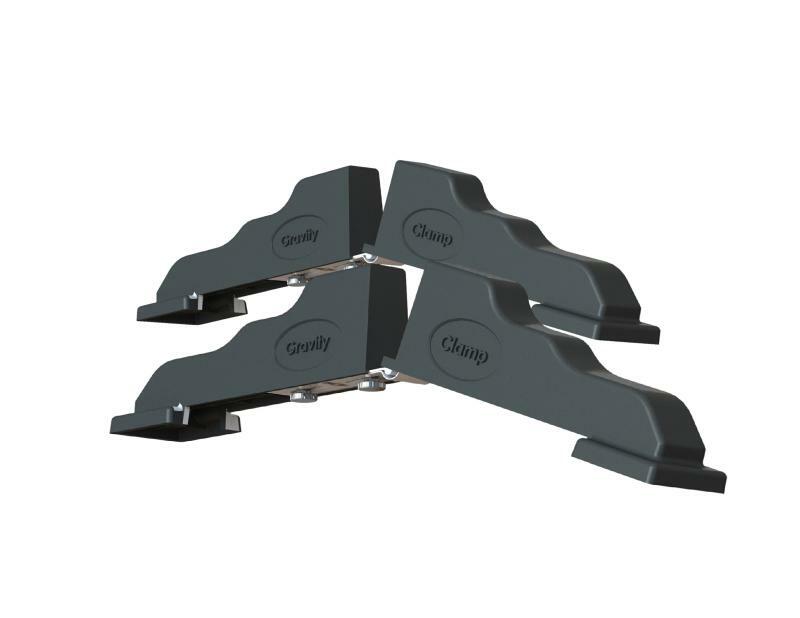 This patented but simple effective British invention is very simple to set up and uses the weight of the product to clamp securely. 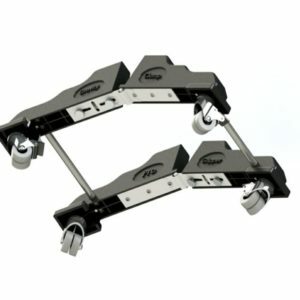 With the new body shape the new magic gripper is stronger and stable, and with the anti rock square feet makes the magic grippers easier to control. 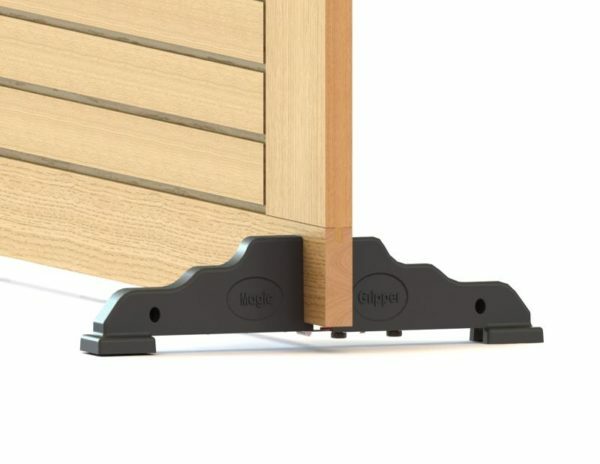 Once adjusted to fit the product, its ready to work the jaws will be in the open position until the the door or product is placed into the jaws. 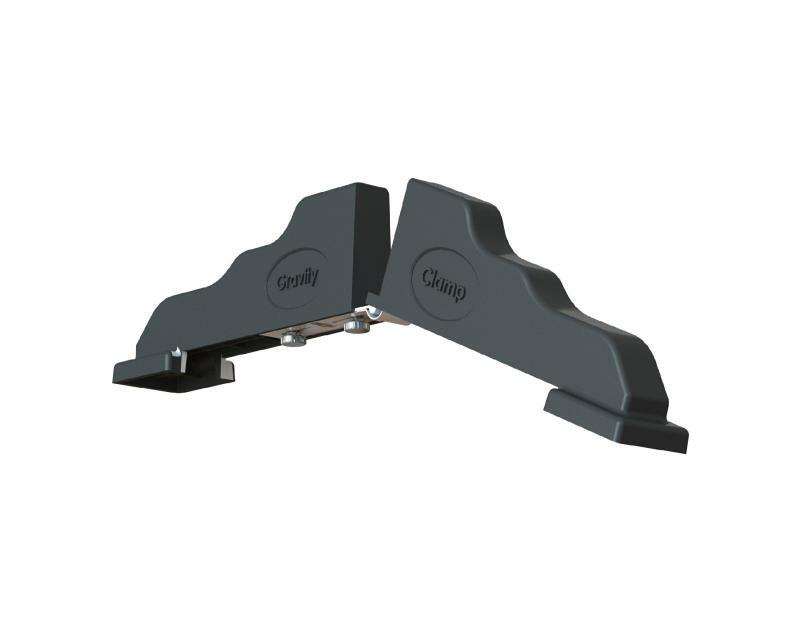 The jaws will automatically close and grip the product tight . More the weight more they grip. 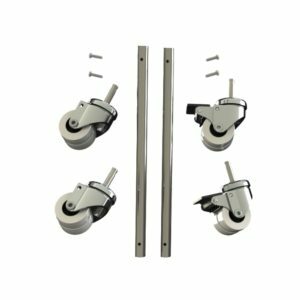 To remove your door or product simply lift and the jaws will automatically open and will stay in the open position until you place the product back into the jaws. This is the newest version of Magic Gripper. You will soon find more uses than just holding a door. Soon you will start to understand how simple and effective they work. 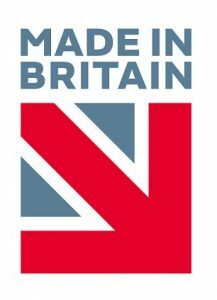 Acting as a second pair of hands, keeping product safe and secure, creating barriers and benches keeping from working off the floor. They take up less space in your van or shed and quick and easy to set up. Easily insert hinges, latches etc. Many more uses (What Do You Use Yours For). 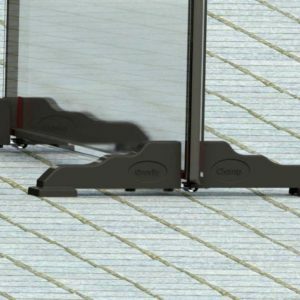 Use on all types of materials and sizes of doors without causing damage. • Adjustable to approx 15-54 mm. • New bigger stronger body shape. • New square feet for more stability. • Quick and easy dial up adjustment. 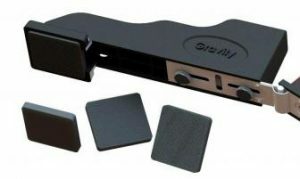 • Uses the weight of material to clamp securely. 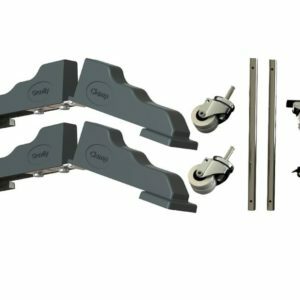 • Gives excellent support for easy door and hinge preparation. 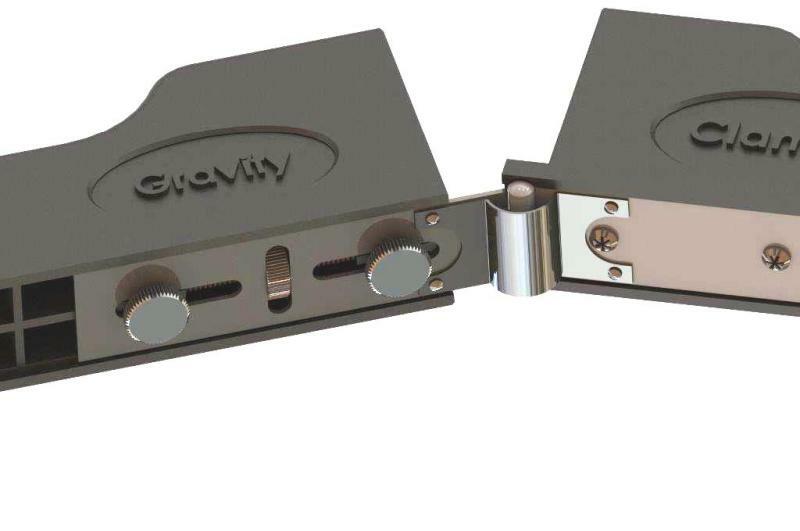 • Automatic release for ease of use by lifting out material used. • Locates easily to achieve best results. What a fantastic hand tool. Just had to leave this comment. Being using this new version some time now and have found it to be indispensable. I am using to hold heavy worktops. Being a joiner by trade will be using for other jobs too. Completely agree with other feedback. What can I say. What a fantastic invention. Totally agree with other feedback just what our industry needs. Simple, easy to use, do exactly what they say they do. Well Impressed. Just received the new magic gripper pro version. What a great invention just what this industry needs. Really like the dial up feature makes it so easy to operate. They are very well made and durable. 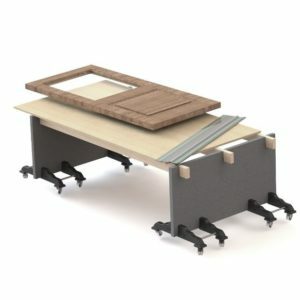 I have been using on door preperation and can honestly say they have made fitting doors so much easier. I can see why other tradesman use them for other projects they are very versatile and will use for many other projects. What an amazing product. Using now on fitting hinges into doors, so easy to use. Will be using these on all projects. What an amazing product. been using for a while now and completely agree with other comments. I have 2 pairs of these. Easy to set up and use. Like using mine for holding heavy worktops keeps them safe. 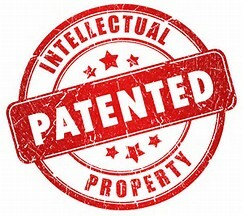 Very worthy investment and will continue to use for other projects. Fantastic product. 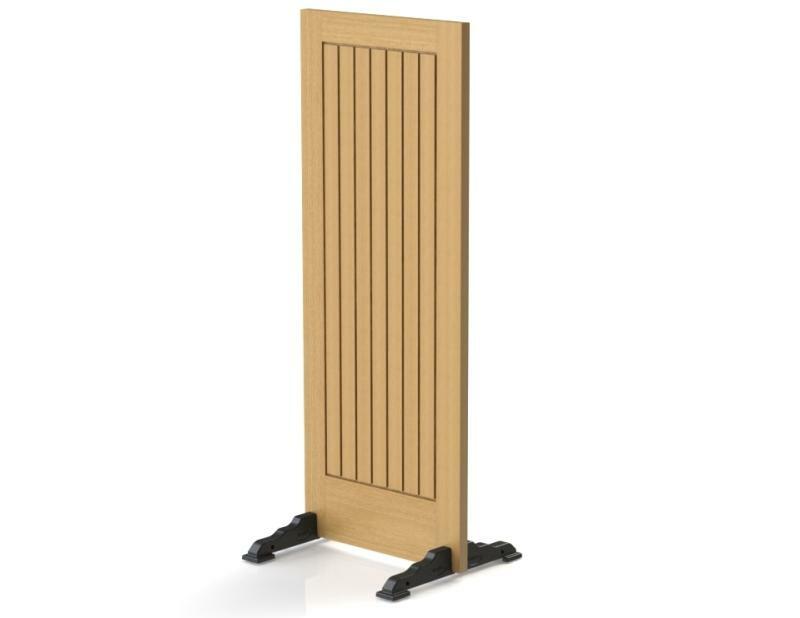 Very well made and very impressed with the versatility of this product. will definitely recommend to fellow tradesman. Great workman’ s tool. 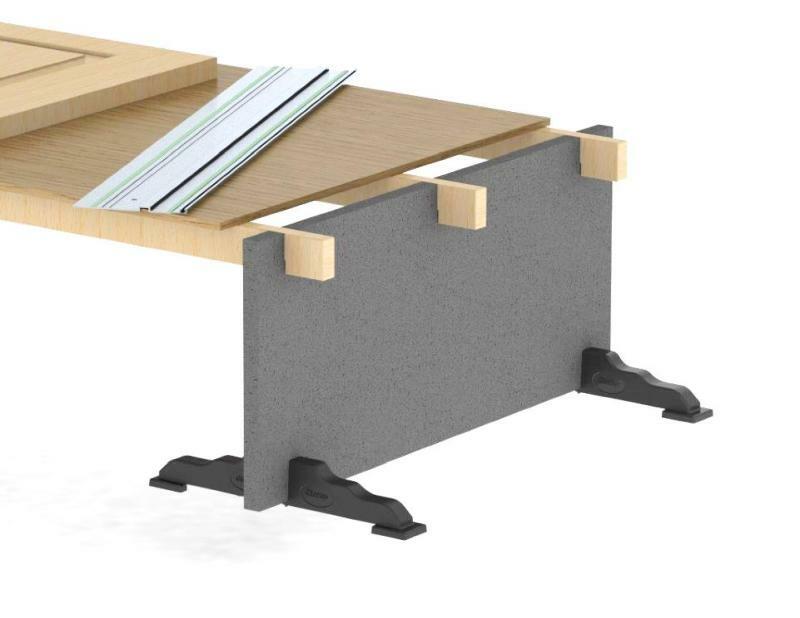 Very well made, easy to assemble and use. Worth every penny, will come in handy for a lot of joinery projects. Thanks pro-fit. Fantastic product. Very easy to use and set up very happy with my purchase. Brilliant product should have bought years ago. Just finished some external doors did the job with ease. Strong, very sturdy like the dial feature. Great invention Thanks. Got the new grippers really impressed with them I used them today to hold a big heavy duty drive gate, they handled the job with ease whilst the painter did some filling and sanding. The adjustable dial up is a great feature and makes the processes of adjusting very quick. 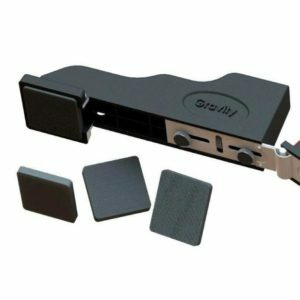 Great product pro-fit just what our industry needs I will definitely recommend to fellow trades. These new grippers are fantastic. I have waited a while for these and they are worth the wait. Used for hanging 6 doors and they are so easy to use. Does exactly what they say they do. Thanks I will recommend these to all my trade buddies. Received these a few days ago. I did purchase through Ebay but thought I would leave feedback on this site where it is deserved. I am very impressed with these new door grippers. I am a kitchen fitter by trade and use these for holding worktops and heavy granite sinks. They are worth there wait in gold for any trade. Thank you for bring them to market.